On the 29th March in 1871 a petition was rased in Jersey, Channel Islands. The crowd gathered in the streets of St. Helier (the Capital main town) and the harbour. On that day 343 signatures were collected on behalf of the merchants and seafaring men. 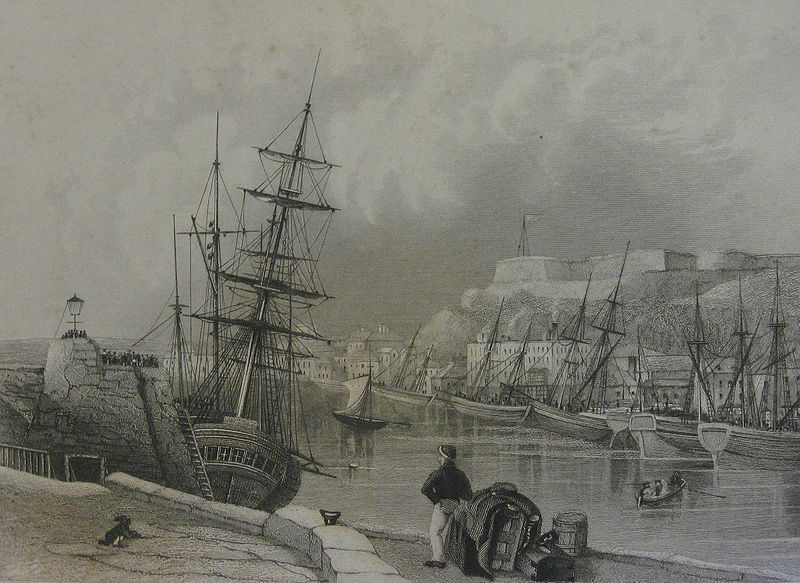 The cause was a much needed harbour development in St. Helier. I do not see any of my ancestors names on the list of the petition. Does it not concern them? Are they happy with the size of the harbour as it is? Or have they been warned by their employees not to get involved maybe at the jeopardy of their jobs? It is a great list and shows you a variety of people and their different professions that were involved including blacksmiths, drapers, merchants, ship builders and solicitors, etc. Tip: The list is not in alphabetical order, bu tif you want to search for a particular name hold down ‘command’ and ‘F’ on your Mac computer and a box will open up on the right handside at the top of your screen. Type in the surname and it will tell you how many there are on that page. As a result of this petition a break water was built. I’m sure the event caused quite a stir in town on the day! Next Do you know about TROVE? Thanks for popping by my blog again, it’s great to know that readers come back to it. And no, I didn’t know about the Temps Passe Facebook page, but I am delighted you have told me about it. Please feel free to add my post. I have just requested to join but it may take a while to be accepted especially as I am on the Australian time zone. This is a fascinating blog Ramona. I picked up mention of it on the Jersey Family History Facebook page and have been engrossed with it for the past few hours… good work, and in all reality, this is something I should do with my family history too. My father was born in Jersey, but as his father was a British sailor, he was amongst the first to be evacuated in 1940. My grandmother’s family are Jersey through and through and have manged to chase her ancestors all the way back to the 1600s, (even further in one line!). Gran’s family were Phillips (or Philippe) and Fauvel, with both paternal and maternal ancestors also going back via Gallichan, Lemprierre, Baillane, Amy and Le Geyt families. I’ll certainly be keeping up with your blog from now on… Keep up the good work, it may even inspire me to get my Channel Islands links down into a similar blog. I believe my ancestors, The LeSueurs, were from Jersey. They came to America about 1855. Family members have gone back there to see the house, which has been remodeled, they lived in when they lived there. Thank you for visiting my blog! There are 12 Le Sueurs on the petition – were any of them from your family tree? Thanks so much for this post. My own gr-grandfather, Francis Neel, is not one of the signers, as he & family had already come to Texas in Dec. of 1873. However, there are several more-distant relatives & inlaws on the list. Very interesting glimpse into their lives back then. I am delighted you have found some distant relatives on the petition list, every new find is joy. I would love to go back in time and ask our ancestors why they did or didn’t sign the petition. The 24th entry down is Ph. Mauger….I’ll have to do my research….could be related to my great-great grandfather John Mauger from L’Etacq b. 1801….who came to Perth, Lanark County, Ontario, Canada around 1851 or so….thanks so much for this document!